As with most people, I often get asked by strangers about my profession. When I tell them that I am an attorney, the first thing they usually do is tell a lawyer joke or describe an unpleasant experience they had with a lawyer in graphic terms. After that, people usually have a lot of questions regarding the legal profession. One of the most frequent questions I hear from people is regarding attorney licensure. Attorneys are required to have a law license in order to practice law. Further, an attorney must have a law license issued by the state bar in which the attorney practices. Most states require that a new attorney graduate from an accredited law school and pass the state bar examination. My understanding is that California is the only state that does not require a lawyer to graduate law school. One can become an attorney in California as long as you can pass the California bar exam. Further, my understanding is that Wisconsin does not require law students who graduate from a Wisconsin law school to pass a bar exam in order to become a licensed attorney in Wisconsin. Many states have reciprocity with other states in that if you have a law license from a state with reciprocity, you can get your law license in the sister state without taking a bar exam. You just have to fill out a lengthy application and pay a fee. Some jurisdictions such as the District of Columbia have reciprocity with every other state. Some states only have reciprocity with other states that allow reciprocity as well. Some states, such as New York, Florida and California, have no reciprocity at all and require all attorneys to take the bar exam. 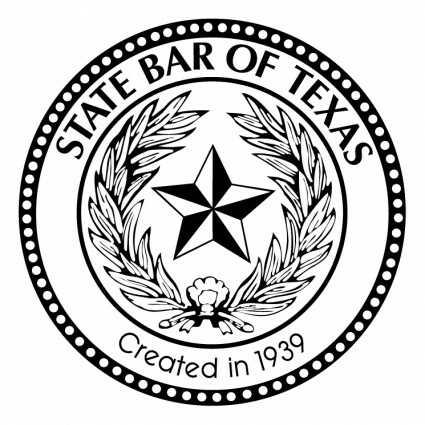 Texas allows an attorney with five or more years of experience to obtain a law license without taking a bar exam. I am licensed to practice law in Texas, Florida, DC and Maryland. I had to take the bar exam in Florida and Maryland, but I was not required to take a bar examination in DC or Texas, where I waived in. There is a mechanism for an attorney to handle a case in a state/jurisdiction that he/she is not licensed to practice law in. For example, if I wanted to handle a case in New Mexico, I would first need to find “local counsel” who has a NM law license. That attorney would have to co-counsel the case with me as my sponsoring attorney. I would then need to file what is called a pro hac vice motion. Pro hac vice is a Latin phrase that means “for this matter only.” The pro hac vice mechanism allows attorneys to handle a specific case in a jurisdiction in which he/she is not licensed. These types of motions are routinely granted. While on the subject, I am always baffled that the legal field insists on using phraseology from a dead language such as Latin. In fact, there was a time when law students were required to take Latin in law school. Probably the most commonly used Latin phrase used in the legal field is “Esquire.” Esquire is the title that some attorneys use at the end of their name to denote that they are an attorney. The term Esquire has British origins and historically was a title of respect and/or an indication of land ownership that men of higher social rank used. As if we attorneys weren’t already perceived as narcissistic and obnoxious. My vote is to end using the Esquire term. Let’s leave that name to Bill S. Preston Esquire from Bill and Ted’s Excellent Adventure.